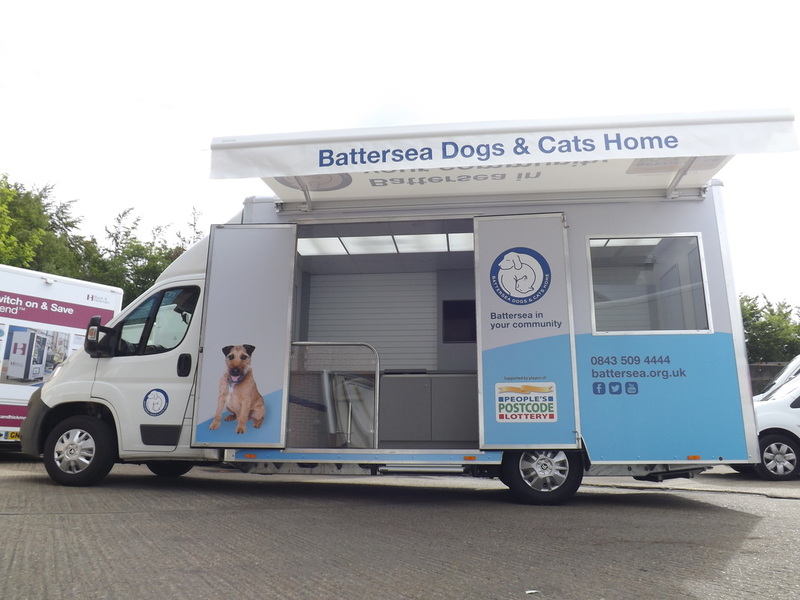 Masters designed and manufactured this stunning van for Battersea dogs and cats home to allow them to take their micro chipping services on the road. 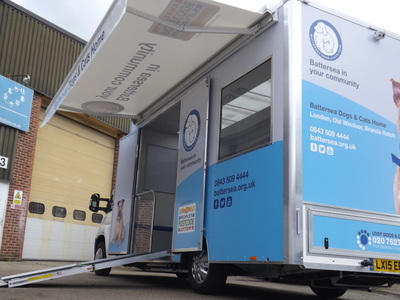 The van has alternative ways of access, an electric step and a foldable ramp. 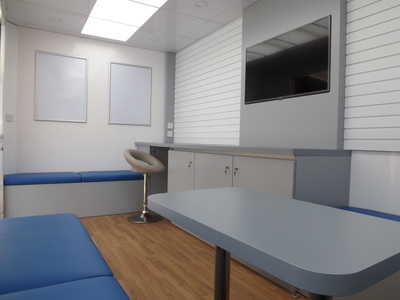 This allows easy access for all occasions into the superb, light, bright open plan space achieved by natural light through translucent ceiling tiles and large window. The slat walling is used as a product display area which is flexible and compatible with multiple hanging fixtures. 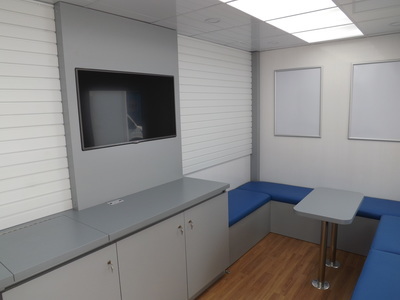 Features include a 42" screen, seating and under seating storage, lockable cabinets, a Smev sink with hot and cold water and branding opportunity's with interchangeable poster clip frames. If you are interested in commissioning a van or trailer similar to the Battersea van above, then please fill in the enquiry form adjacent or ring us on 01732 740370. Our team of expert designers and craftsmen will work with you to create your perfect exhibition van.